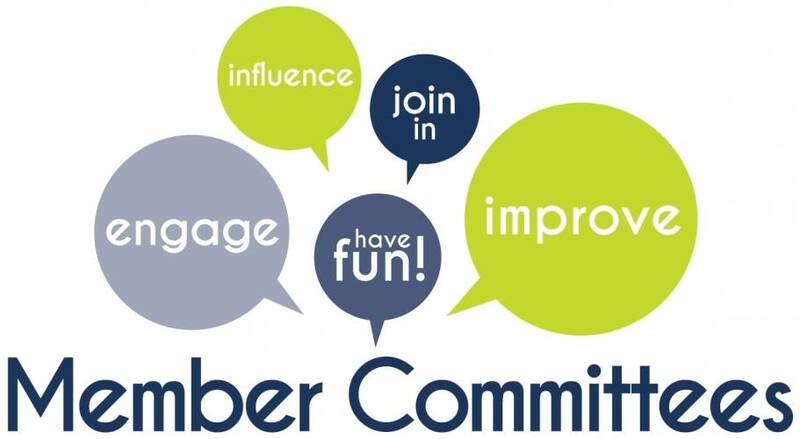 SHOULDN’T YOU BE A MEMBER OF AMCHAM? 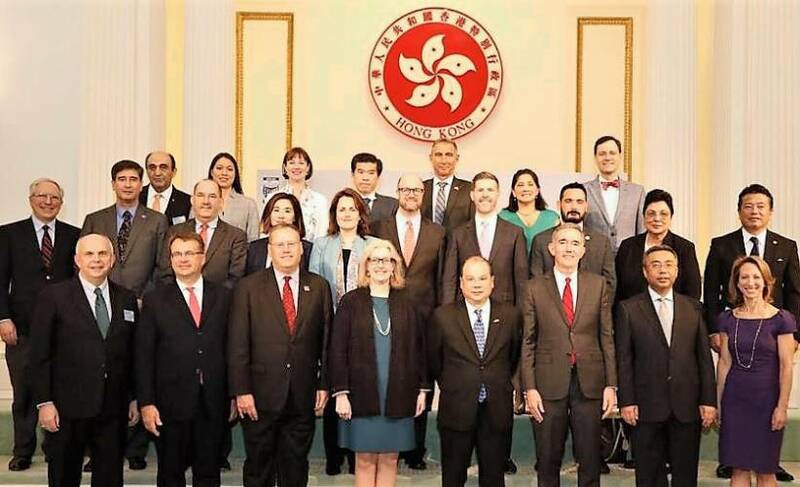 On March 5, the Asia Pacific Council of American Chambers of Commerce (APCAC) concluded its 2019 Spring Business Summit, a two-day gathering of key American business leaders, diplomats, and AmCham representatives from across the region. Critical conclusions reached at this year’s summit underscore both the historic and current impact of American investment in the Asia Pacific region, and the urgent need for increased engagement by companies and American Chambers to address the shifting and uncertain global trade landscape. Almost 200 members participated in AmCham’s Annual Meeting and Dinner on December 5 at the InterContinental Hanoi Westlake. The annual event featured remarks by Ambassador Daniel J. Kritenbrink and Assistant Secretary of Commerce Ian Steff, the Chair’s annual report, presentation of the 2018 CSR Recognition Awards, announcement of the 2019 AmCham Board of Governors, and the unveiling of our 25th Anniversary Logo that will be used next years. 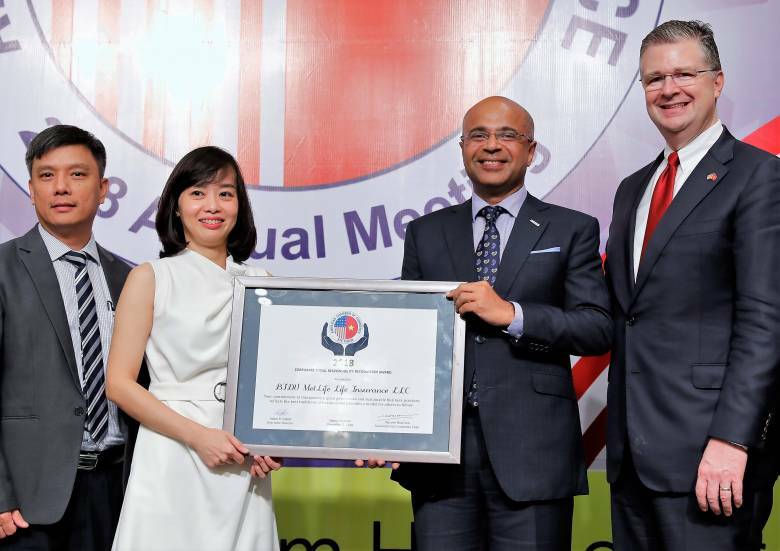 AmCham honored its members’ best corporate social responsibility (CSR) programs at a ceremony presided over by United States Ambassador Daniel J. Kritenbrink on December 5, 2018. Twenty-seven member firms received the CSR Recognition Award for understanding the linkages between business operations and society, and conducting business in a way that creates both long-term economic and social value. On behalf of our members and leadership, AmCham offers our deepest condolences on the passing of President Tran Dai Quang. President Quang believed in a strong private sector and was the first Vietnamese President to speak at an AmCham event. He forged ever-stronger partnerships for Vietnam and deepened his country's ties with the United States and our business community. We honor his legacy and mourn his loss alongside his family and our friends, the people of Vietnam. 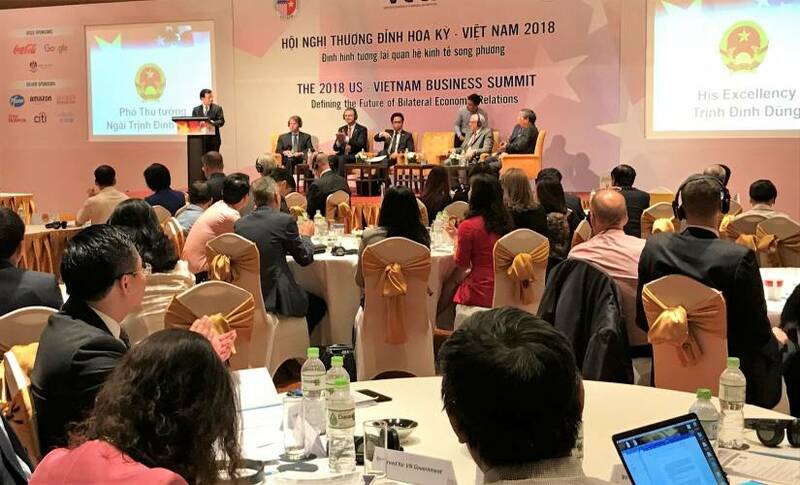 On September 10 in Hanoi, AmCham, in cooperation with VCCI and the US Chamber of Commerce, hosted the 2nd annual US-Vietnam Business Summit. 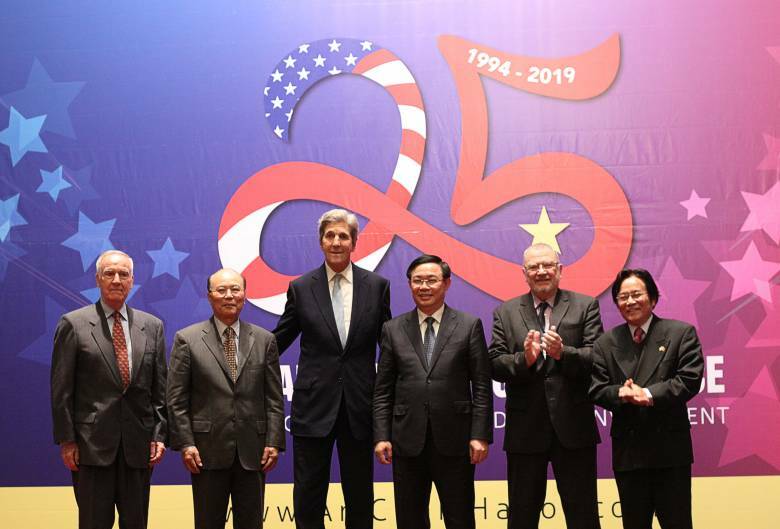 The conference featured participation from Deputy Prime Minister Trinh Dinh Dung and Under Secretary of Commerce Gilbert Kaplan. The event had a digital economy focus, and included panel discussions on cybersecurity, e-commerce, innovation, supply chains and trade facilitation, as well as regional and global trade tensions. 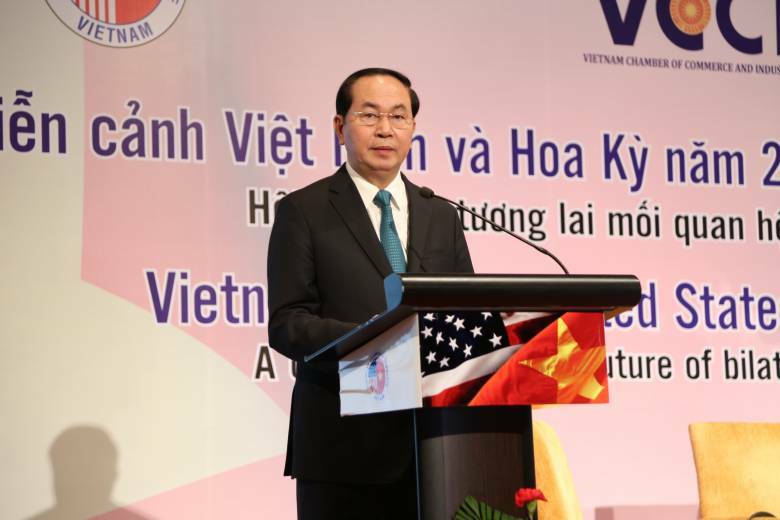 Prime Minister Nguyen Xuan Phuc expressed his wish that US enterprises strong in digital economy will enhance cooperation and transfer technology to Vietnam. 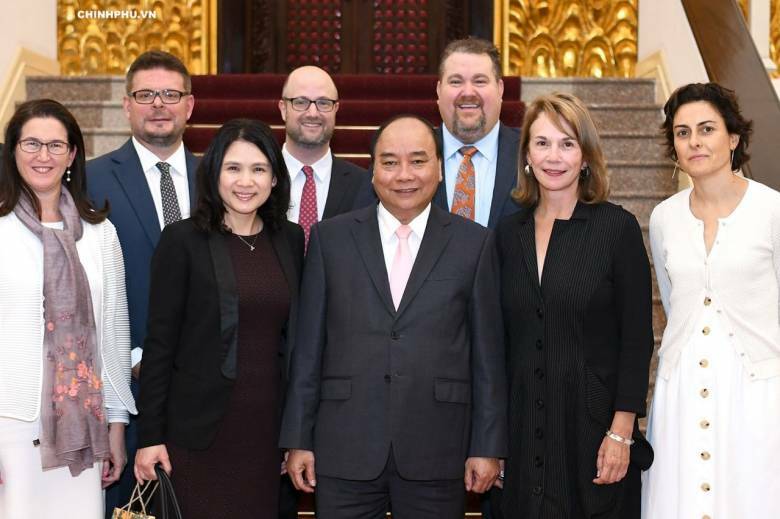 The government leader made the statement during a reception in Hanoi on September 10 for AmCham member companies supporting the 2018 US-Vietnam Business Summit. 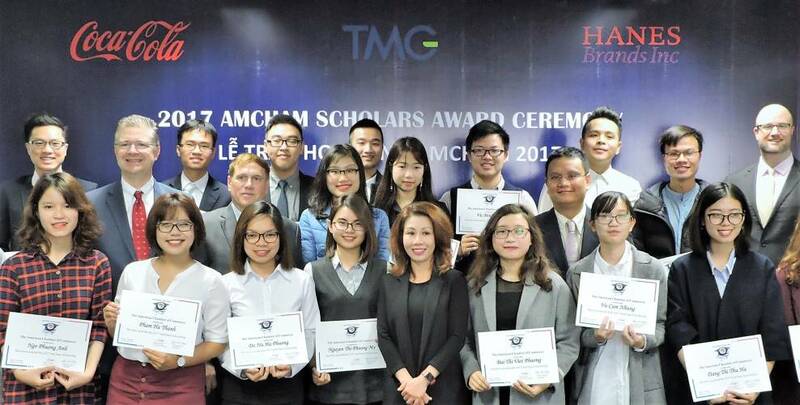 In 2009, AmCham began the AmCham Scholars Program to recognize outstanding final-year undergraduate students in Hanoi who demonstrate leadership through academic performance, community involvement, extracurricular activities, and possess good English-language skills. 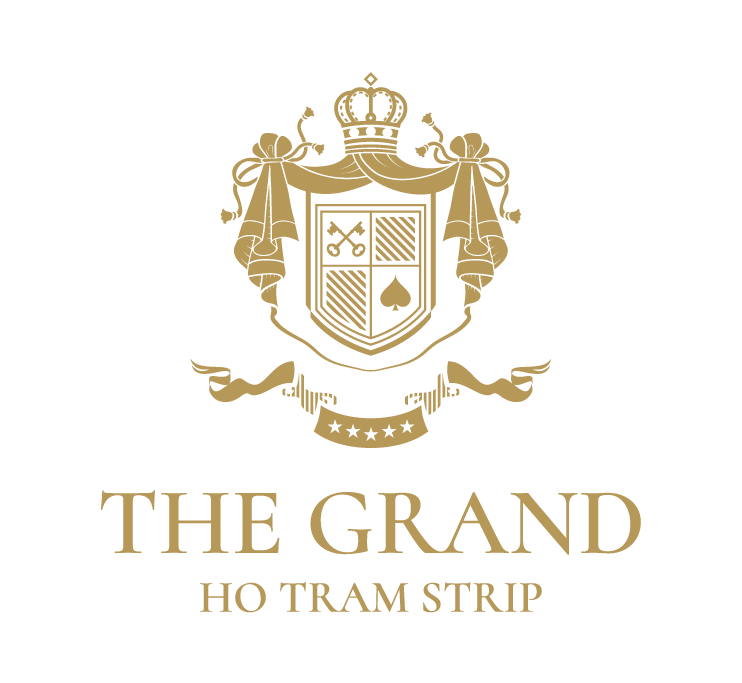 The purpose of the program is to help our members find great future employees and to demonstrate AmCham’s long-term commitment to Vietnam and its young people. 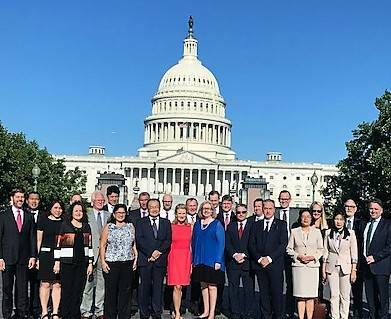 In mid-July, members from AmCham Hanoi and 11 other AmChams in the region traveled to Washington to advocate for policies that will leverage the Asia-Pacific’s growth for greater opportunities for American businesses. 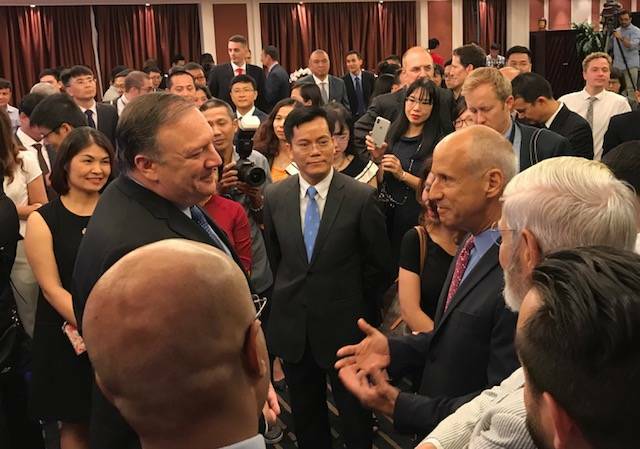 This conversation will continue at the US-Vietnam Business Summit in Hanoi on September 10. 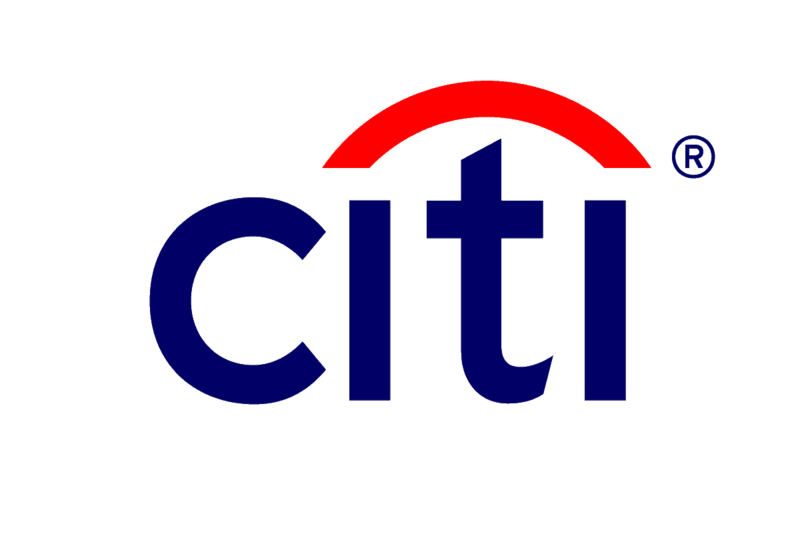 Click HERE for more information about the upcoming Business Summit. 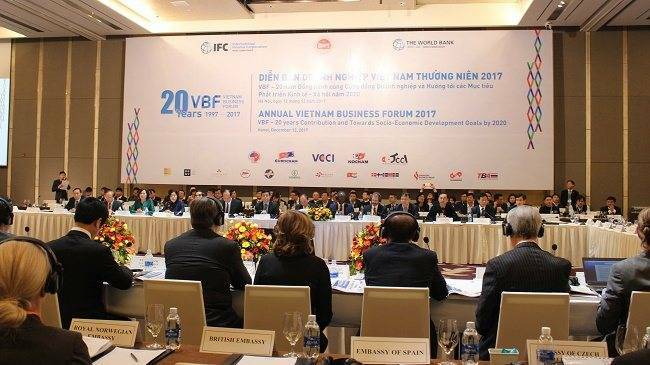 At the Vietnam Business Forum on July 4 in Hanoi, AmCham Chair Michael Kelly told the government that while AmCham supports the government’s effort to link domestic and foreign companies together, our members continue to have challenges dealing with corruption and an over-complicated environment. 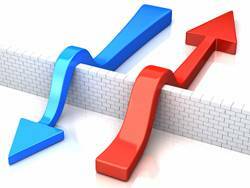 Each year, the Office of the US Trade Representative is required to submit to the President, the Senate Finance Committee, and appropriate committees in the House of Representatives, an annual report on significant foreign trade barriers. 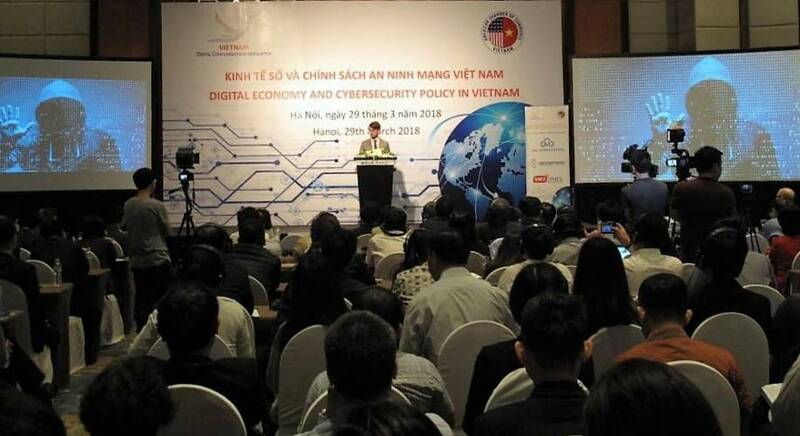 AmCham and the Vietnam Digital Communications Association co-hosted a workshop in Hanoi on March 29 that focused on how the Vietnamese government can approach cybersecurity policies based on international best practices, and how the government can utilize the expertise, experience and capabilities of the private sector to improve Vietnam’s cybersecurity posture. 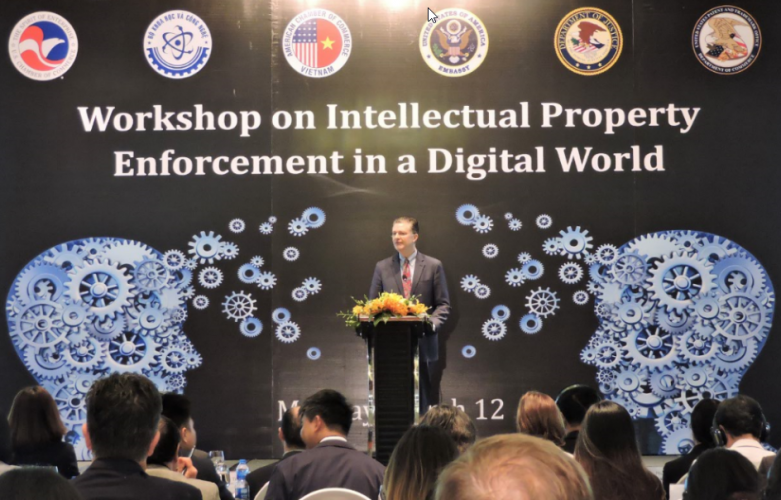 To continue our effort to strengthen intellectual property rights protection and enforcement across the whole spectrum of industries in Vietnam, AmCham, in cooperation with the Ministry of Science and Technology and the United States government, organized a workshop in Hanoi on March 12 which focused on intellectual property rights enforcement in a digital world. On March 6 in Danang, a group of AmCham members toured the USS Carl Vinson in the first visit of an American aircraft carrier to the country since the end of the Vietnam War more than four decades ago. 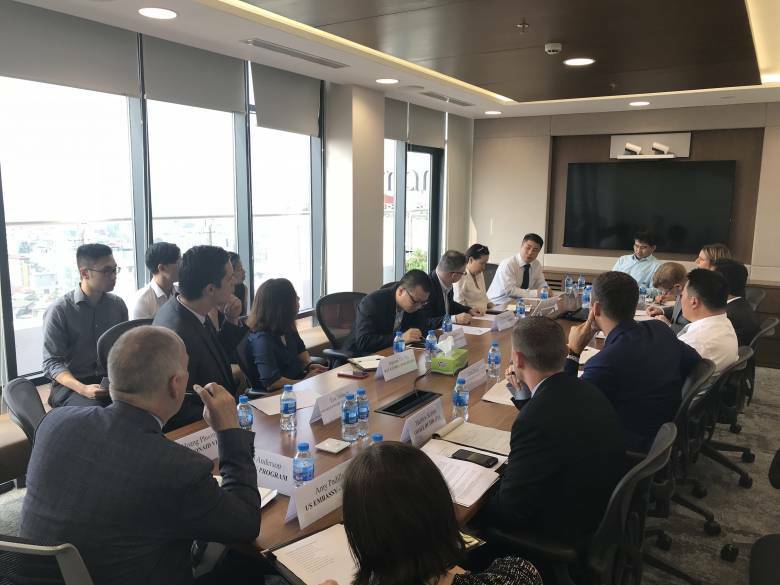 On March 1 in Hanoi, AmCham hosted a policy workshop to discuss proposed rules and regulations for foreign investors in Vietnam’s pharmaceutical sector. 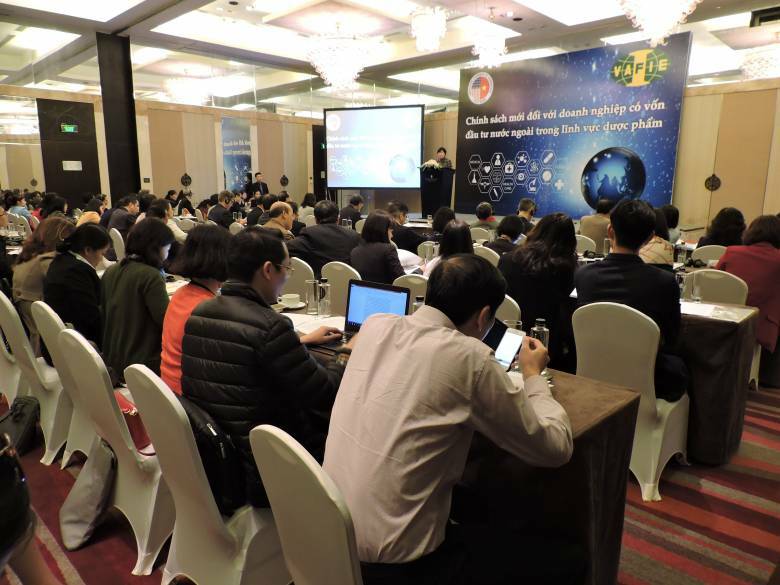 Officials from the Drug Administration of Vietnam, the Ministry of Industry and Trade, the Ministry of Justice and the National Assembly spoke at the event.